And Many Many More... at Mt. Marami..
At this point in time, my passion to climb has grown deeper and deeper. 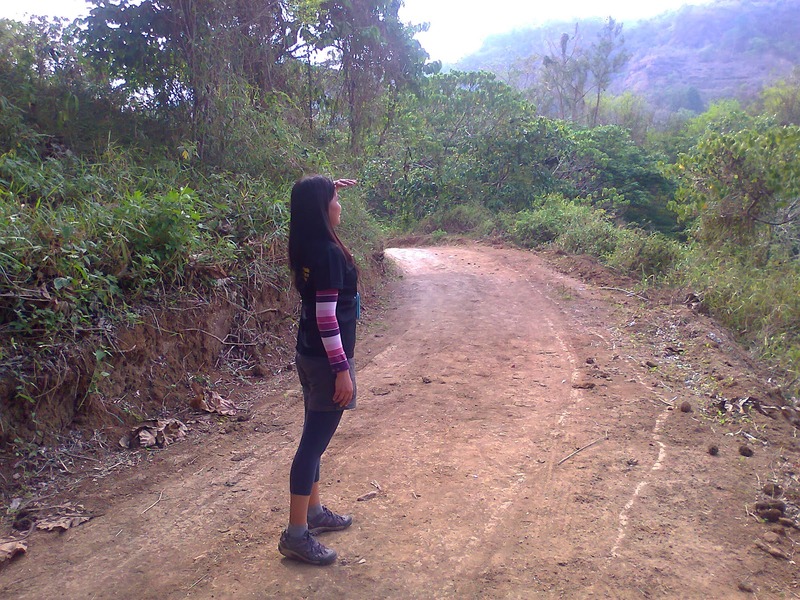 I already had my bucket list of mountains which I planned to climb. It means not just one mountain a month which I normally do. That’s why I was really excited for Mt. Marami which I waited for 3 weeks to come after Tarak Ridge. We arrived at the jump off point at around 9am. All things ready and there, we started trekking at around 10am. We had an arrangement with a guide. The hike to Mt. Marami is a long journey although a little less steep and less assault (except when you’re already approaching the campsite). It’s like you just have to relax and enjoy a long walk so that you won’t be thinking if you are about to arrive at the campsite. We passed by more than two rivers/brooks the water is just shallow and not heavily flowing since that was a pretty sunny day. But there are many forks, if not in focus or if not guided, you’ll really get into the wrong trail and you’ll be like walking and walking all day long going nowhere and not arriving at the right destination. That was what happened to the group who also climbed on the same day, well, that was another story. From this point (photo above), we could not see yet a trace of Mt. Marami’s peak. In this photo, you’ll see a wide trail, but as far as I could remember, this isn’t the trail. 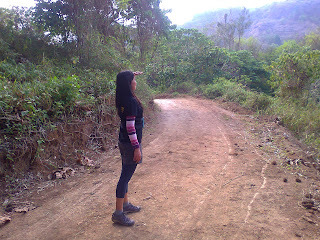 The one I was facing was the trail we took when we continued the trek. It was mid afternoon when we could finally view Mt. Marami. 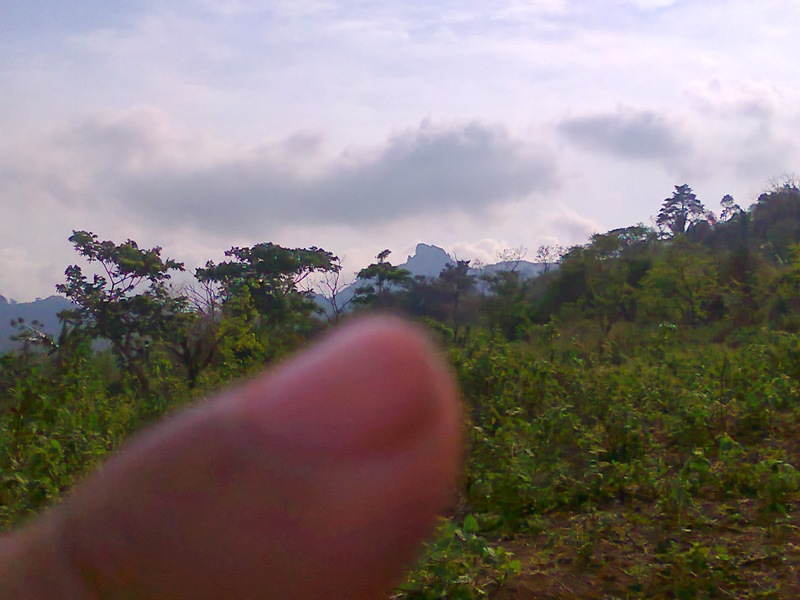 Getting closer to the mountain, and I was astonished by Mt. Marami’s structure. It’s like a compiled faces with a beautiful architectural finishing. 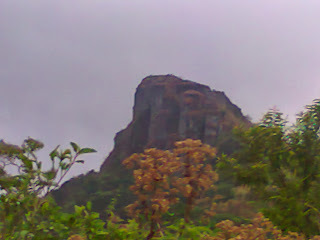 And looking at its rock formation, I could say, it's so marvelous! We learned at the jump off point in barangay hall where we registered that a big group climbed on the same day ( the one I mentioned earlier) which was ahead of us. 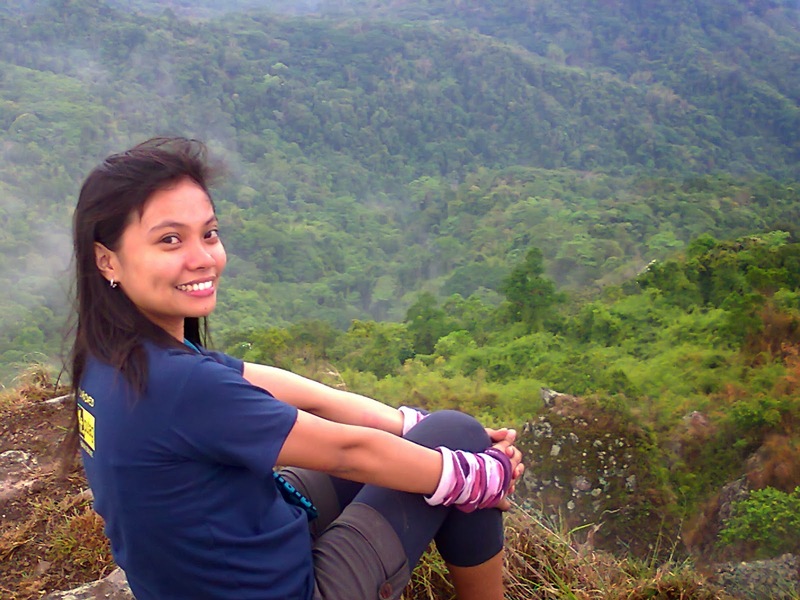 However, upon reaching the summit, there was no one there but us. The whole campsite was ours. The bad thing was, it rained so hard while we were preparing for dinner. 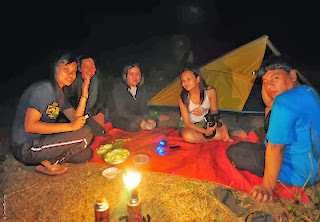 I and ate tere, my guest and a first timer in climbing, was the one I shared a tent with.. It poured a lot and and we were left wet. Inconvenience it might brought to us, but I didn’t mind the situation. I know it normally happens. 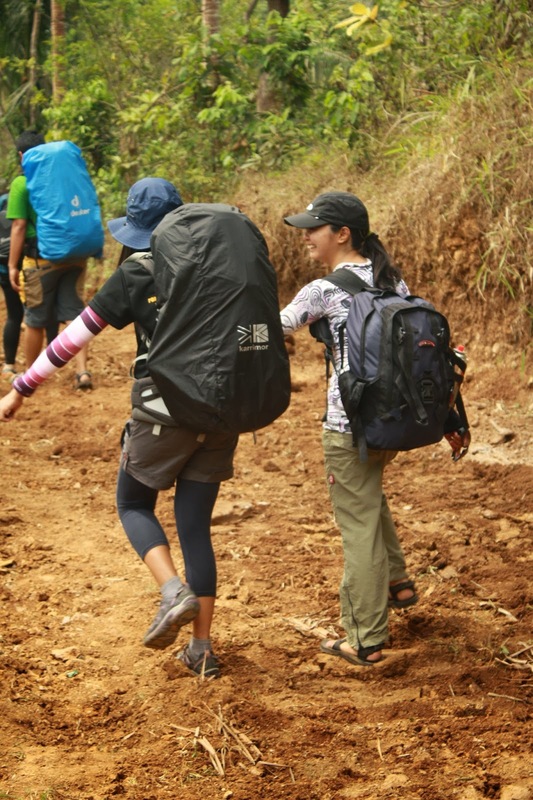 And I was also happy to see that Ate Tere, even she’s a newbie, was adapting easily to the situation. She never complained. Thank God that the rain stopped giving way to have a good time for socials. Oh I remember our appetizer… mangoes!!! They were so many of them!! We got them along the trail. 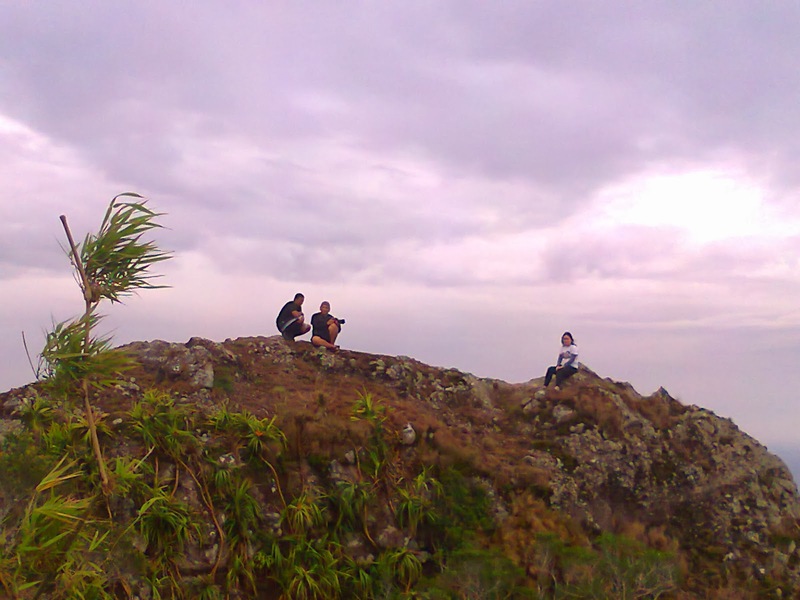 The following day (early morning) was summit day!. 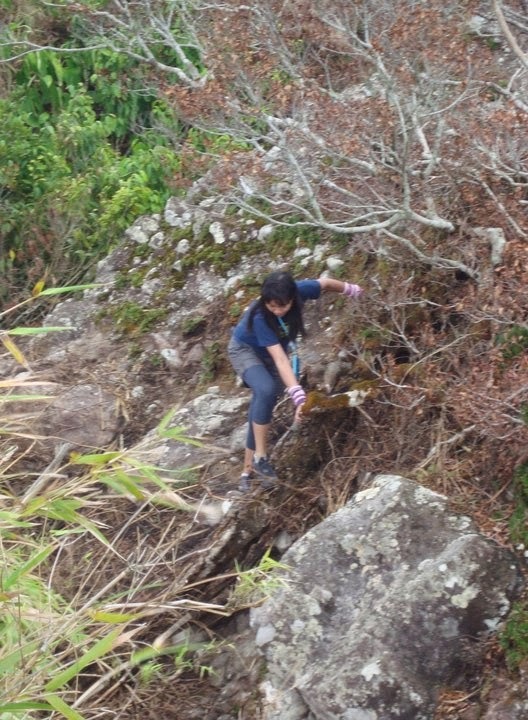 We took a 30-minute rocky trail. Across the summit is another boulder which majority of us tried and safely climbed it. It was a bit dangerous in getting there you would have to take a rocky steep trail terrain. 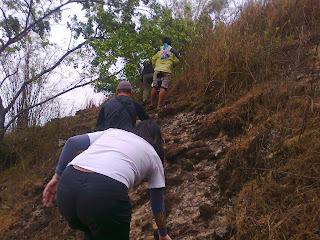 From there, I was able to take pictures of those who were left at the summit. Our descent was a total challenge. It was a rainy trek and a fight over the muddiest trail one would ever encounter.. We learned that it was already signal no.1 then in Cavite for typhoon Bebeng. One of us, Jodick, had an injury..still we thank God that we arrived safe back at the jump of point. The climb seemed to turned out a major one because of this. 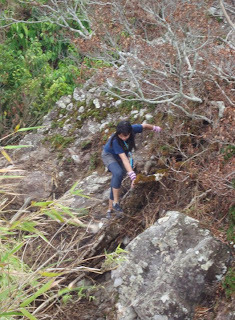 In this climb, I met a mountaineer named Dennis Hisanan, who belongs to Castle mountaineers and became my climbing buddy in the next climb adventures that I had.